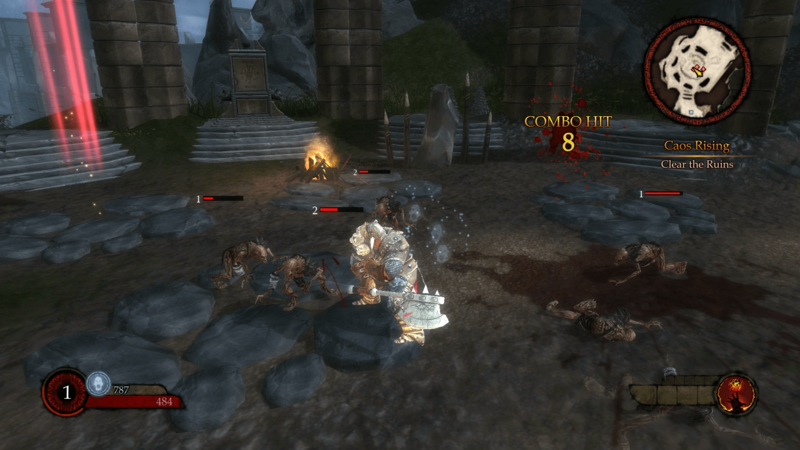 Ascend: Hand Of Kul, a free-to-play game, was just released on Steam on May 20th 2014. The game is currently in beta and well, it kind of shows. The concept behind Ascend: Hand of Kul is a solid one. 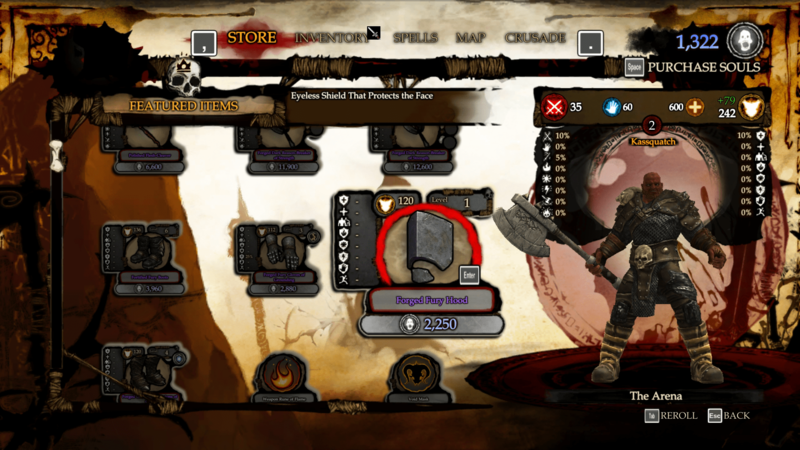 A free-to-play RPG that has seamless integration of single player and multiplayer. While your game is mainly single player, and you have majority of the control in what you do, others have the ability to somewhat change how you do it. You can also impact how others go about their journey also. Which is a novel concept in my opinion. The point of the game is to bring the god of your choosing’s influence to the human world and spread it while defeating the other deity’s influences all while making your character the “ultimate Caos warrior”. There are a total of 3 paths to choose from. The chaotic goddess of darkness, the zealous god of light or the manipulative lord of the void. There are plenty of achievements for those types of people who crave them which is also something nice to have. Well this paragraph is going to be short because it’s a very simple story. The plot is one of you choosing a path of one of 3 deity’s. You then go around the human world and convert everything to your deity’s influence. That’s it. Kill this, beat that, all filler quests that have no real meaning other than spreading your influence. I hope with future updates there is more to the plot. The game is definitely made for a console. The controls are clunky, menus are hard to navigate, and key bindings are just weird. More than a few times I got incredibly frustrated at the menus that I quit the game. The only reason I continued to play was to write this review. If that tells you anything about how the rest of this review is going to go. The loading times are horrible. Remember back when PC games loaded everything from CD? Or when Playstation 1 had to load for 1-2 mins between every level because its all stored on the CD? Ya, that’s what this game is like. If you take a look at my gameplay video at the bottom of the review, you will see how long it takes to load anything….the game, the levels….anything. And I’m not playing on a old crap computer as you can see here. Also as you can see in the videos, there are parts that totally bog down your FPS. I dropped to 15 FPS sometimes where I can play Arma 3 at 60 fps with 30fps in epic battle mode on ultra settings. I don’t know if it’s just bad coding or over use of textures, but it’s bad. The tutorial you play takes forever. Coupled with the long load times, it makes you feel like you just wasted 2 hours of your day waiting, and well, you did. Most of the video shown below is that of the tutorial or starting areas. I couldn’t be bother to record more because, as I said earlier, I ragequit many times. I kept coming back for the review and thinking “it’s gotta be because it’s beta”. The combat mechanics are actually really fun. 100% console feel on that. With combo attacks and the way you have to face when attacking, just depicts console game. Which isn’t a bad thing, unless you are playing on a PC. When I was playing, it just kept coming to my mind that this game should be played on a PSP GO or something like that. Probably because I’ve played many games that feel identical to this on my old PSP. The graphics for this game seem like something out of the 90’s. When I saw the opening credits / movie, I thought “ok, its trying to be kinda rustic in the movie.” ya well, the game is like that. Imagine Goldeneye 64 meets Team Fortress Classic. Kinda blocky characters with textures that are obviously tiled but not very good. They all have potential to be amazing graphics but just, aren’t. The menu’s in which you would think static images would be better, aren’t. As seen in the picture it just isn’t pretty. Maybe they want it that way? I don’t think I should be able to see pixelated graphics in a game like this. But I am not the developer. It looks like its trying to be good, but is failing. There isn’t much to say about the audio. The only audio that I ever heard was that of ambient music in the background and combat sounds. There are almost no voice overs other than the opening movie, mostly everything was done by graphical text. Which was extremely annoying. The background music does a good job of making you feel immersed into the game but it isn’t enough for me to keep me into it. This game is free-to-play. It has a lot of potential, but it needs a lot of fine (and not so fine) tuning. It feels like a bad rip of God of War: Ascension . It is fun for a bit, but the early beta feel is to much for me. Like a lot of free-to-play games, you can pay to win. I don’t see a point in that, but, if you want to, you can. Would I recommend it to others? It’s free-to-play so ya. But I wouldn’t put to much faith in it. Stop using “Oh it is free to play, so I guess I Should go easy” and god I hate: “Well, give it a try, it is free to play”… That is a sad sad stupid excuse. Go hard on it. If not you have a bunch of idiots releasing F2P games knowing they get your personal sign up info. Just entering an email address gives them money for each website visit. Also, if the game is P2W, and bringing in cash, than yes, it is not really a F2P model, but a P2W model and even more reason to not play it unless you want to open wallet (and depending on how the cash shop is set up. Pay once for set itmes? or pay infinate times gameling with lock boxes and gems? )… I Am so sick of that marketing tag like. It is like saying: “Well I got a gun for free, guess I can shoot myself in the face now”. Just because you can, does not mean you should. Your points actually are quite valid. And it does make sense to not use those terms. Just when writing, stuff kind of just flow. Even with proof reading, it makes sense. But I see what you mean. As for the free to play model, I also agree that the f2p genre has gone completely whack in their definition of f2p. There are very few f2p games that are actually good. League of Legends has it right. Can’t pay to win. Pay to customize, or get heros, but paying money for a hero isn’t going to make you win.